Is your KitchenAid Mixer Bowl missing, dented, cracked or broken? Maybe it would be convenient to have a spare bowl when you plan to make multiple batches? 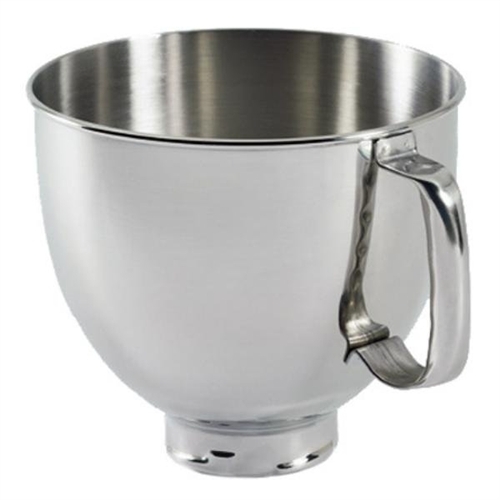 You may need a new Kitchen Aid stainless steel mixer bowl K5THSBP. This steel bowl fits 5 Qt. tilting-head Artisan stand mixers. 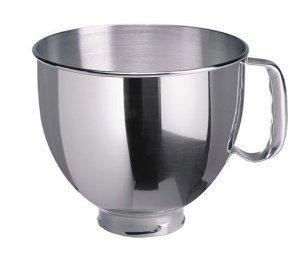 This bowl's base twists and locks into your mixer's stand.